Indeed, the agreement between Russia’s Gazprom and a consortium of German, Austrian, French,, and Anglo-Dutch companies came as a surprise. 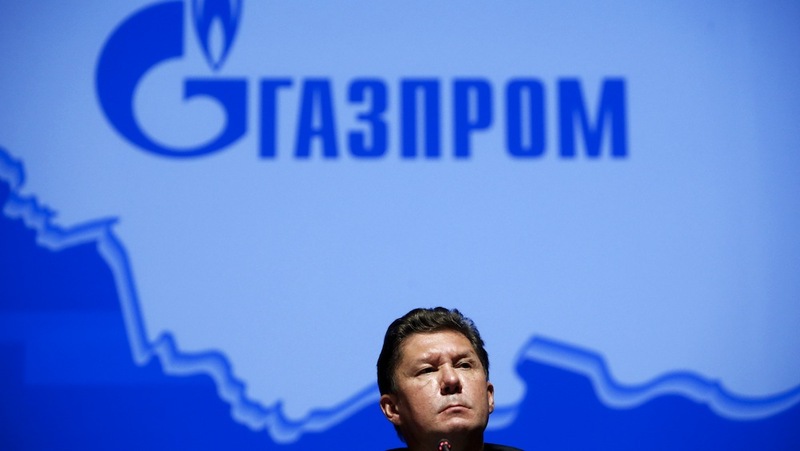 After all, in January 2015 Gazprom announced it had abandoned the project, blaming both the falling price of gas over the previous year and anti-monopoly restrictions in the EU’s Third Energy Package, which prohibit suppliers of gas from also owning pipelines delivering it. This provision has prevented Gazprom from ever filling the original North Stream more than half way. In retrospect, the sudden signing of a Nord Stream 2 agreement only six months after the project was supposedly abandoned, plus the fact that the consortium foresees a quick start reveals the prior cancellation to have been a political ruse. However, Nord Stream 2 is not solely a German affair. The European consortium includes German energy companies BASF and E.ON, French company ENGIE, Austria’s OMV and Royal Dutch Shell, an Anglo-Dutch company. As for Shell, the Nord Stream 2 deal is but one element of a new global partnership with Gazprom according to Miller, who revealed in St. Petersburg that the deal heralds a spate of new Shell-Gazprom energy asset swaps and joint projects in Europe, Russia, and around the globe. For Austria and OMV, the economic allure is strong. As Miller explained, “… by the end of 2019 gas will travel far beyond Germany as OMV aims to turn Austria into one of Europe’s largest gas hubs.” Experts have also pointed out that this will concentrate at least two-thirds of Russian exports to Europe into one route, all arriving in Germany – already the largest recipient of Russian gas – and should enable Germany to develop as a hub for re-sale of Russian gas throughout Europe. Indeed, an advantage for Gazprom, which would now not need to develop its own hub, is that “it will allowAustrian and German trading hubs – NCG, Gaspool and CEGH – to become more important than the UK and Netherlands’ TTF/NBP hubs”, and Gazprom should be able to determine the speed of development. So Putin wants an alternative way to get this gas to Europe without transiting Ukraine, and he ordered Gazprom to accomplish this by 2019. If he succeeds, he will have accomplished three specific things. Since Ukraine controls the two lines transiting its country, ending their use will deny Kiev about $2 billion annually in transit fees its economy desperately needs. It would also leave Ukraine highly vulnerable to energy pressure from Putin. On the one hand, he could then cut off Russian gas shipments to Kiev without cutting off any of Gazprom’s millions of European customers downstream, thus avoiding any direct energy confrontations with the EU. On the other hand, It would also end Slovakia’s new ability to “reverse flow” gas back to Ukraine to counter any Gazprom cut-off there, as Slovakia only gets that gas from Russia via Ukraine transit – which is also whyGazprom declares Slovakia’s aid “illegal”. Shell and its partners present Nord Stream 2 as necessary to replace waning supplies of gas to northern Europe from old Dutch fields. However, with the global market bursting with new gas supplies, including LNG, and with Poland, Lithuania, Croatia, Spain, Portugal, and other member states making major efforts to bolster their access to non-Russian gas imports, Germany has made no significant efforts towards LNG, and there seems to be little consideration of how new non-Russian gas set to flow into southern Europe could be brought to bear. Maroš Šefčovič, the EU’s energy union vice president, has protested, “How is [Nord Stream 2] in compliance with our strategy for diversification of supply? What kinds of conclusions should we draw if the aim of such a project is to practically shut down the Ukrainian transit route?”– a fair question, given that the project will completely change the gas balance for Central and Eastern Europe, to which no satisfactory answers has been forthcoming so far. This entry was posted in Energy and Geopolitics, Energy and Geostrategy, Euroepen Union, France, Germany, international relations, LNG, Putin, Resource conflicts, Russia, Sanctions, shale gas, The USA, Trade and Commerce, Ukraine and tagged Berlin, Brussels, Business and Economy, Energy, European Union, geopolitics, Germany, natural gas, Putin, United States, USA. Bookmark the permalink.